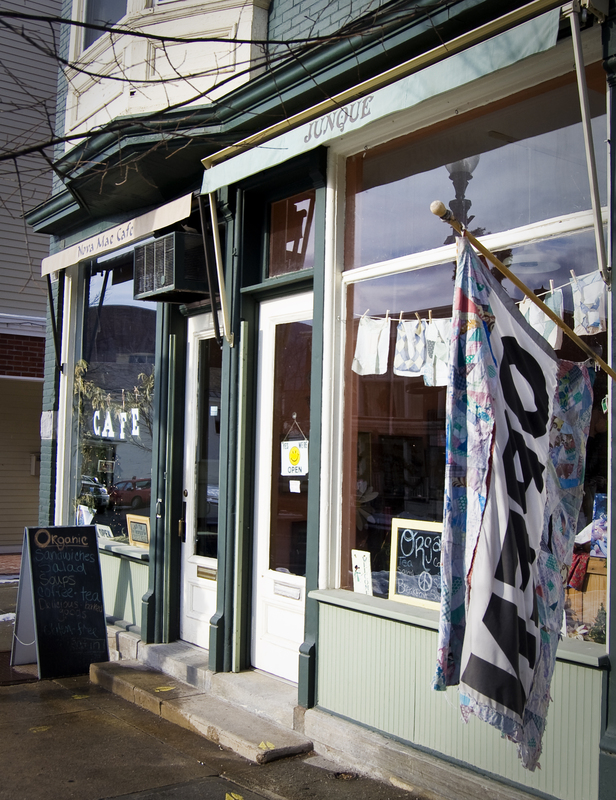 Find the Nova Mae Cafe on Main St. in Bennington! 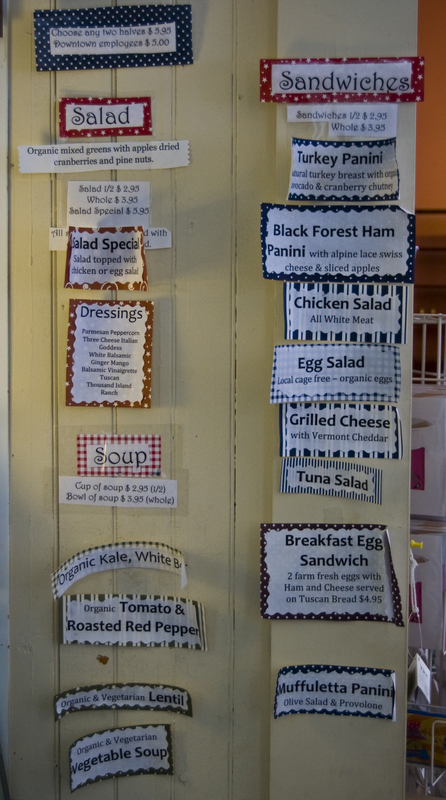 The Nova Mae Cafe is your destination for fresh, organic paninis, soups, and baked goods in the heart of scenic Bennington, Vermont. The cafe offers vegetarian and gluten- free options and serves Mocha Joe’s gourmet coffee. Come relax at one of our tables and taste a bit of the local Bennington flavor at Nova Mae Cafe. The Nova Mae Cafe is located on Main Street in Bennington. Many local artisans sell their goods in the cafe and there is a legendary selection of gourmet teas that must be seen to be believed. Stop in any day of the week between 8am to 4pm. Who knows, sometimes we’re open even later on a nice night! Get Nova Mae Info in your Inbox! Click to be updated with news from the Nova Mae Cafe via e-mail!